Are you excited to test drive the 2019 BMW 7 series at your very own BMW of Lincoln? You should be. The 2019 BMW 7 series is getting a serious facelift. 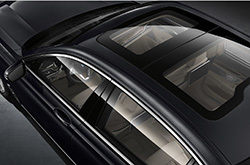 Expect a more sophisticated exterior and technological advanced finishes on the interior. The trim packages and the quality of the upholstery have had a serious update making this luxury car much more enjoyable to drive. BMW is always striving to create a more luxurious driving experience and the 2019 BMW 7 Series is no exception. Even standard models of the 2019 BMW 7 Series model feature a much larger touch screen display than ever seen before. Updated trim packages and a higher quality of upholstery seating make the vehicle much more appealing to customers and a true joy to drive. The interior of the 2019 BMW 7 Series comes with a variety of details depending on the trim package. Expect a spacious cabin and leather seats built for comfort. This sedan is meant to be long-lasting both inside and outside. 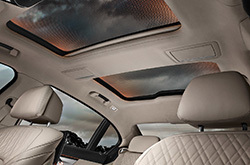 Technological advancements and improvements to the stereo system make the 2019 BMW 7 series one of the most enjoyable drives created by BMW for both performance, pleasure, and the daily commute. What Performance Does The 4.4L V8 Provide? When it comes to what to expect under the hood, the 2019 BMW 7 series features an impressive 4.4-liter V8 engine. This engine will be able to reach a maximum 523 horsepower and have peak torque at 553 lb-ft. Other engine options are available that are more geared towards creating lower emissions. The 7 series is designed to be a luxury sedan that is sporty enough to have fun in but practical enough for your daily driving needs. The xDrive iPerformance trim package even features a Plug-In Hybrid option. All transmissions feature an automatic transmission with an overdrive feature. This sedan comes with a flair for luxury and fun. Make the most of your daily drive by getting behind the wheel of a 2019 BMW 7 series. How Safe is the 2019 BMW 7 Series? You should expect the same safety commitment to detail as seen in the other BMW models we have seen Previously. Expect a vehicle that is outfitted to get you safely to your destination and equipped with the technology to do so. You can contact BMW of Lincoln in order to schedule a test drive of one of our models.